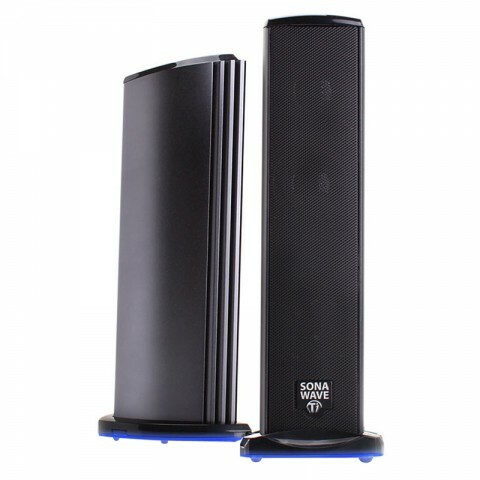 The SonaVERSE TI is a refreshing blend of style, versatility and audio superiority. 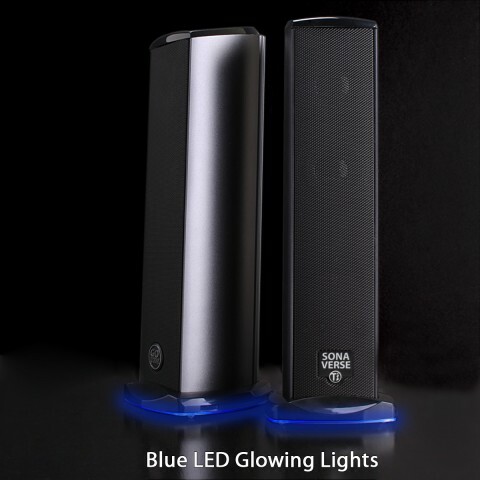 Accented with a glowing blue LED base, each tower consists of 3 drivers per channel - two 1.5" drivers with a passive bass woofer. 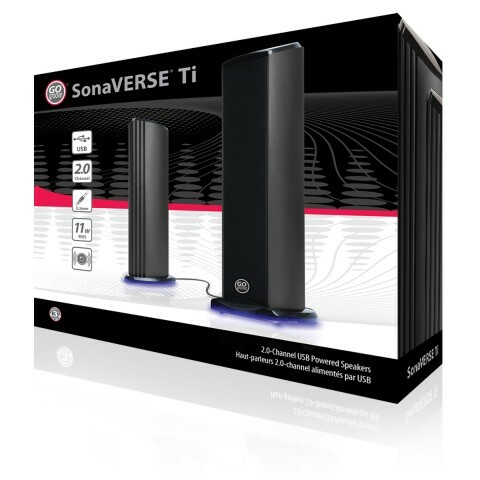 The GOgroove SonaVERSE Ti 2.0-channel speakers deliver dynamic, full-range SonusMAX sound. The depth of audio produced by this impressive 2.0-channel ensemble will satisfy ANY critical audio enthusiast demanding an immersive audio experience. 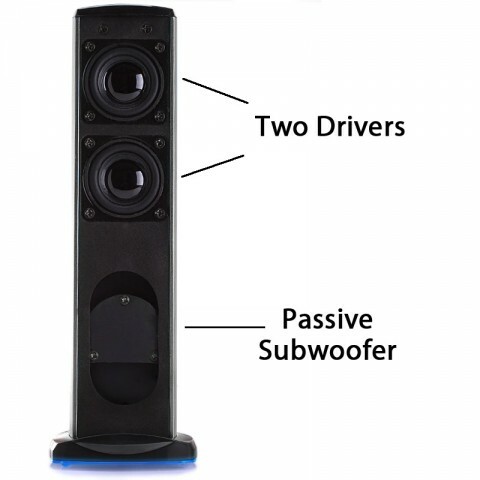 Each tower consists of 3 drivers per channel - two 1.5" drivers and a passive bass woofer. The polished alloy body with a cobalt blue LED base offers bold aesthetics to give your desk both visual and audible appeal. 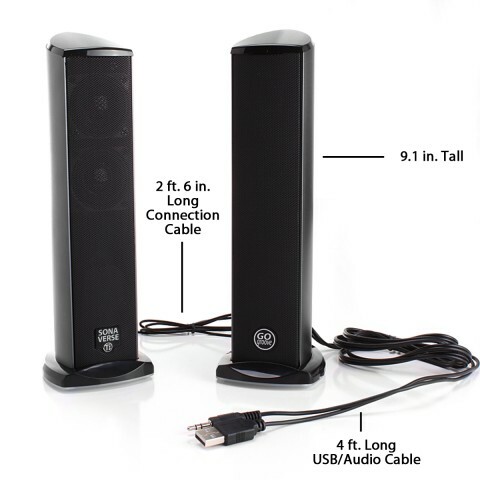 Also, the sharp black color looks great in any setting - home, office, school or dorm room. Plug-n-Play design draws powers from USB with no external power adapters required. 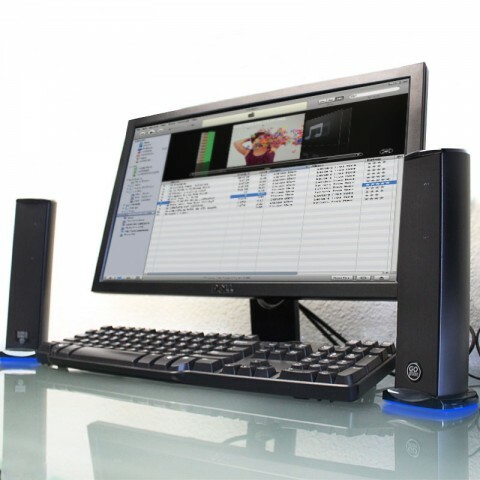 Side-loaded volume control allows for quick audio adjustment. 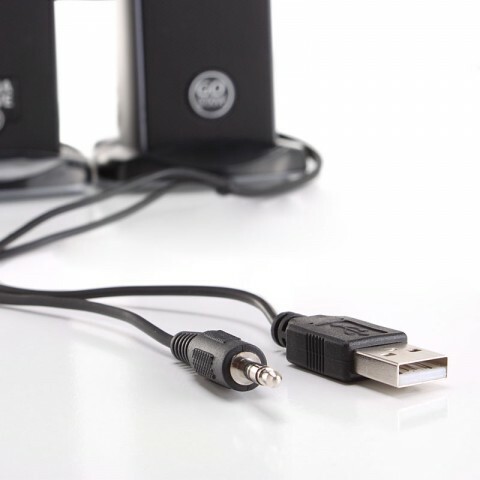 3.5mm AUX connection plays music from computer or other audio devices like MP3 players, tablets or smartphones.